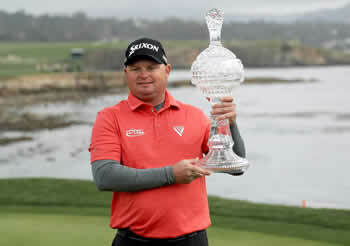 The AT&T Pebble Beach Pro Am PGA Tournament is another one of the favorite stops for both players and fans. With celebrities and star athletes playing golf along with other amateurs it can become a sideshow atmosphere for all involved. 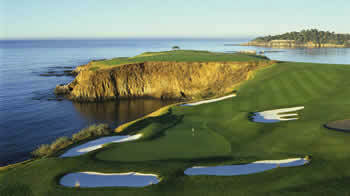 The Pebble Beach field consists of 156 PGA Tour players as well as 156 amateurs. One pro golfer is paired with one amateur. Each day of the AT&T Pro Am, 52 2-golfer teams play on 1 of 3 courses (Pebble Beach, Monterey Peninsula CC and Spyglass Hill GC). On the final Sunday, those pros and pro-amateur teams that make the 54-hole cut play the final round on the Pebble Beach course. The 2019 Pebble Beach Pro Am will again have a top field of PGA Tour players but the golf seems to be the secondary event. Part of the fun of the tournament is the celebrity fun which brings fun and laughs to the tourney. So far confirmed celebrities for the 2019 AT&T Pebble Beach include: Bill Murray, Ray Romano, Toby Keith and Larry the Cable Guy. PGA Tour pros already committed to play in 2019 are: Rory McIlroy, Jon Rahm, Dustin Johnson, Jason Day and Jordan Spieth. For fantasy golf fans, course history can be key for both knowledge of the courses, as well as having the tolerance to deal with the antics that sometimes occur during the rounds. If you are going to play for some serious cash in a Free Fantasy Golf Contest you may want to consider that strategy when setting a fantasy golf lineup. 2018 - Ted Potter, Jr. Fan favorite Bill Murray used to be a fixture at the tournament but has in recent years been more sporadic in his appearances. Gene Littler won the 1975 tournament and the pro-amateur portion as a 23-year-old amateur in 1954, marking the only time that a player had won this event as a professional after having previously won the amateur tournament as well. Sam Snead won the first ever tournament, known then as the Bing Crosby National Pro-Amateur. We mentioned last week for the Waste Management Phoenix Open about FantasyDraft.com. They are a great fantasy golf site and a great place to set another lineup if you are already a player at other top fantasy golf sites. There is less competition at FantasyDraft and we have had some great success playing lineups there all season. Use FantasyDraft Referral Code REALMONEY and take advantage of the FREE CONTEST they offer to new players. Why you need expert picks for the 2019 AT and T Pebble Beach ProAm? With all the hoopla that goes on during the AT&T tournament, why wouldn’t you want some expert golf picks for the Pebble Beach Pro-Am? Go to the guys that are the best…Golfstats.com. Stick with their system and have a profitable 2019 as members have had the last decade or so. Best of all, they have started to also give out fantasy golf picks in addition to their expert golf picks for bettors.